This holiday season, there are no shortage of affordable and classy tech Christmas gifts on the market. Likewise, the holidays can be stressful, and giving or receiving a tech Christmas gift can often offer the perfect solution to all your holiday-related problems. The smart and tech-savvy products below are designed with the consumer in mind. These tech Christmas gifts are sure please any of your loved ones this holiday season, but also work great as a gift to yourself because you know you’ve earned it! Take a look at these life-changing gadgets and let the holidays commence! Created by the company Orange Chef, Prep Pad is one of the best ways to save your diet this holiday season. This tech Christmas gift syncs with your phone through the Countertop app to provide you an accurate visual and numerical representation of what it is you are about to eat. The Prep Pad itself is a “smart scale,” and weighs each individual item of food, breaking the item into its calories, fats, carbohydrates, and nutrients based on the weight and approximate portion size of the ingredient or dish. After connecting Prep Pad with Countertop via Bluetooth (compatible with any iPad mini, iPad 3 and newer, iPhone 4S and newer, and iOS7 and newer), you can manually enter ingredients, look them up in the Countertop database, or scan the barcode of a food item to locate it in the database. For just $50, this is one of the best tech Christmas gifts because it allows you to stay on top of your nutrition even after the holidays have passed! This is one of the most unique tech Christmas gifts on the market because it seeks to bring health and happiness into any home during those dreary winter months. BB Little Garden is an indoor, miniature herb garden that can easily fit on any countertop or windowsill. BB Little Garden includes three pots, complete with soil and herb seeds, under a row of LED lights that encourage herb growth. 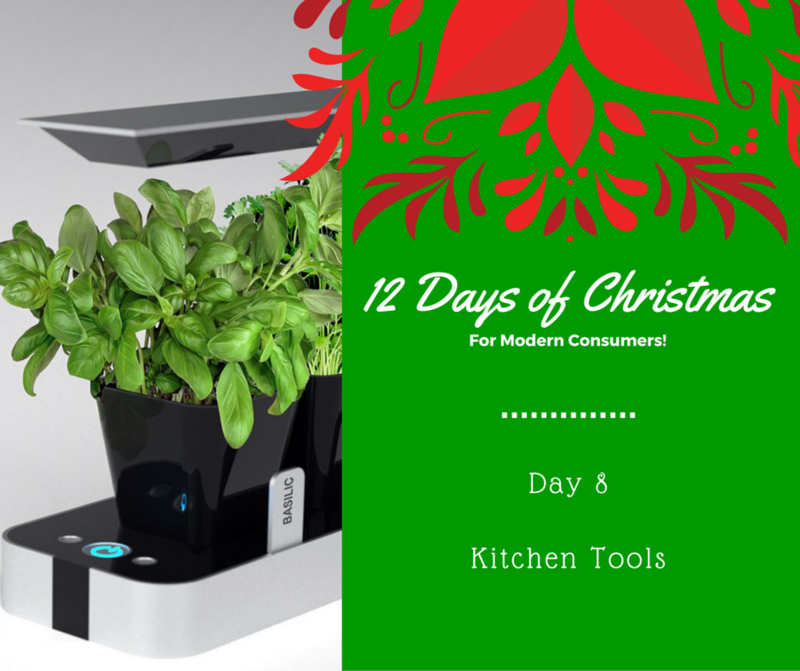 This tech Christmas gift is perfect for anyone who lives in an urban area and does not have the option to plant outdoors or for your loved ones who live in cold climates. Keeping plants indoors also help to purify and cleanse the air, releasing copious amounts of oxygen while removing carbon dioxide. Plus, fresh herbs are sure to spice up any holiday feast; everyone knows that food always tastes better when you have grown some of it yourself! Another member of the smart tech Christmas gifts family, the Anova precision cooker ($130) promises mouthwatering, delectable meals on your schedule thanks to this precision cooker that links via Bluetooth with your phone. Simply download the Anova cooking app, and connect the precision cooker to the app using a Bluetooth connection. The Anova precision cooker will attach to a pot with its adjustable clamp. Using the app, select your cook settings and then press “Start.” Prepare the food and place it in a re-sealable bag. Clip the bag of food to the side of the pot and allow the tech Christmas gift to do the rest. The Anova Precision cooker controls water circulation in the cooking pot, allowing your food to cook at a precise temperature. This allows the food to be done perfectly every single time, and is sure to impress your holiday guests at the table. MixStik is one of the coolest tech Christmas gifts that will undoubtedly be the talk of your holiday party. Once again utilizing an app and Bluetooth combination, MixStik is a user-friendly cocktail assistant sure to get the party started. Using its accompanying app, simply place the MixStik into your drink glass and let the app do the rest of the work for you. Within in minutes, you will have bar-quality cocktails and mixed drinks at your fingertips thanks to this tech Christmas gift. Any of these tech Christmas gifts are sure to brighten the holidays for your loved ones. Have you tried out any of these products before? Do you have other great ideas for tech Christmas gifts? Let us know in the comments. Next Article Tech Christmas gifts for the Ladies in your life!